Keeping your look clean and simple can be a refreshing change sometimes, and we have just the frames to pull off the look. 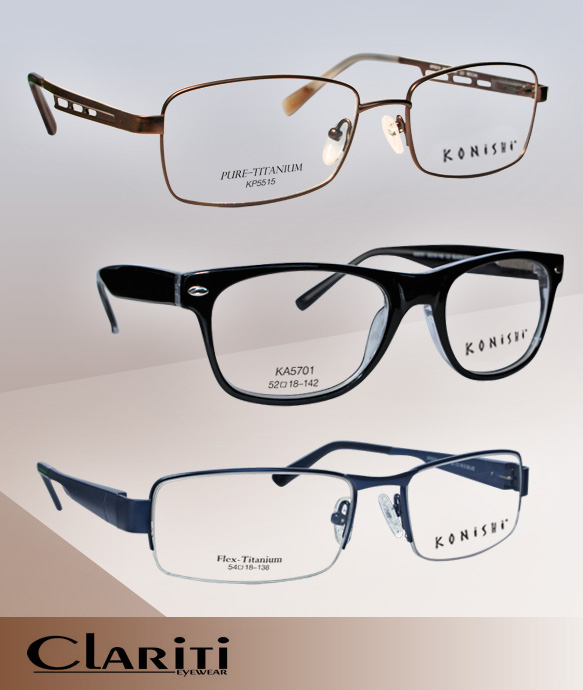 The new Konishi collection has three new specs in a variety of styles – including an acetate wayfarer, sophisticated semi-rimless and a chic, fully rimmed rectangular shape – in classic colors like black, blue and gold. These specs are definitely a season essential!